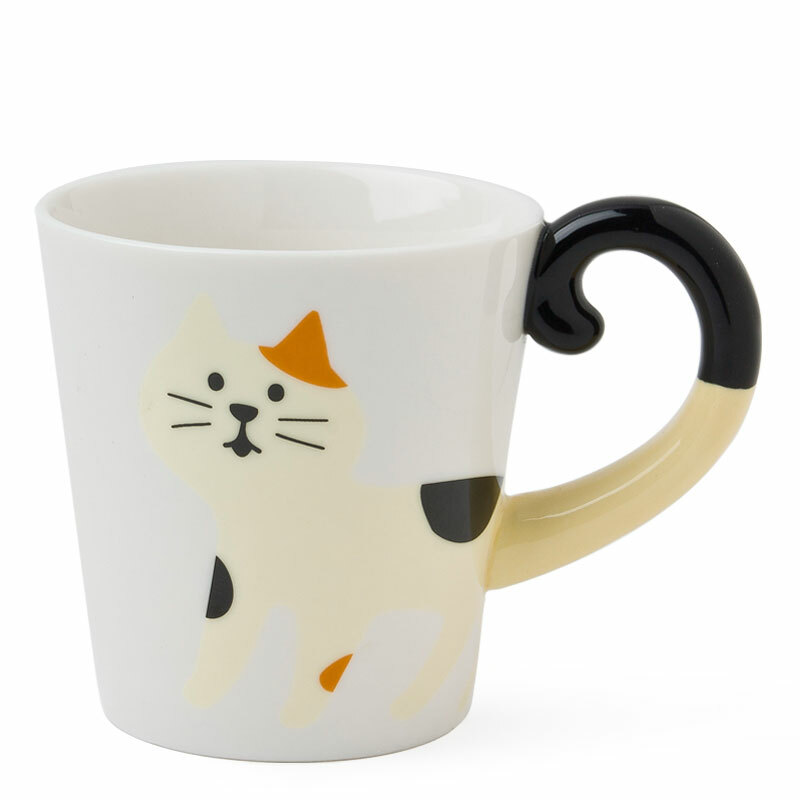 You can't have too many cat mugs! Especially this one! 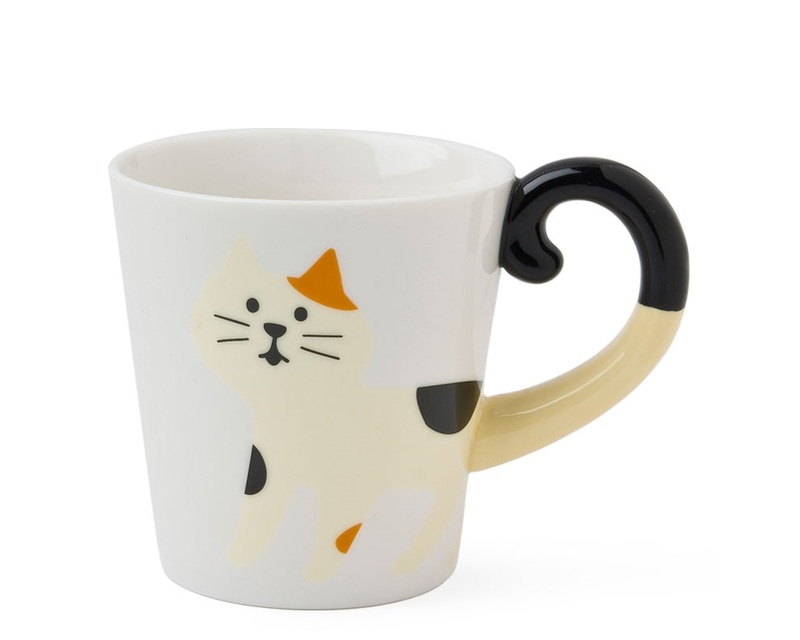 The tail doubles as your handle. 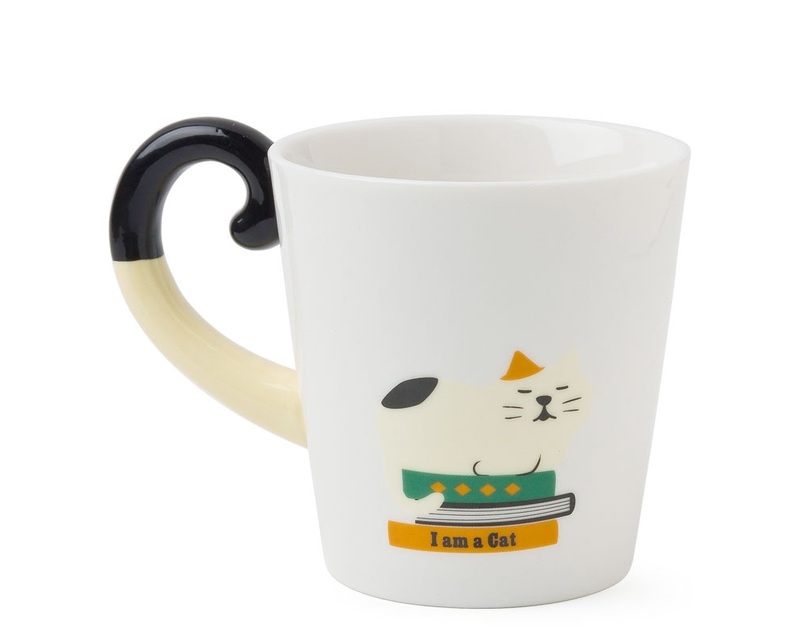 The back of the mug features another cute kitty sitting on a pile of books as kitties are wont to do. 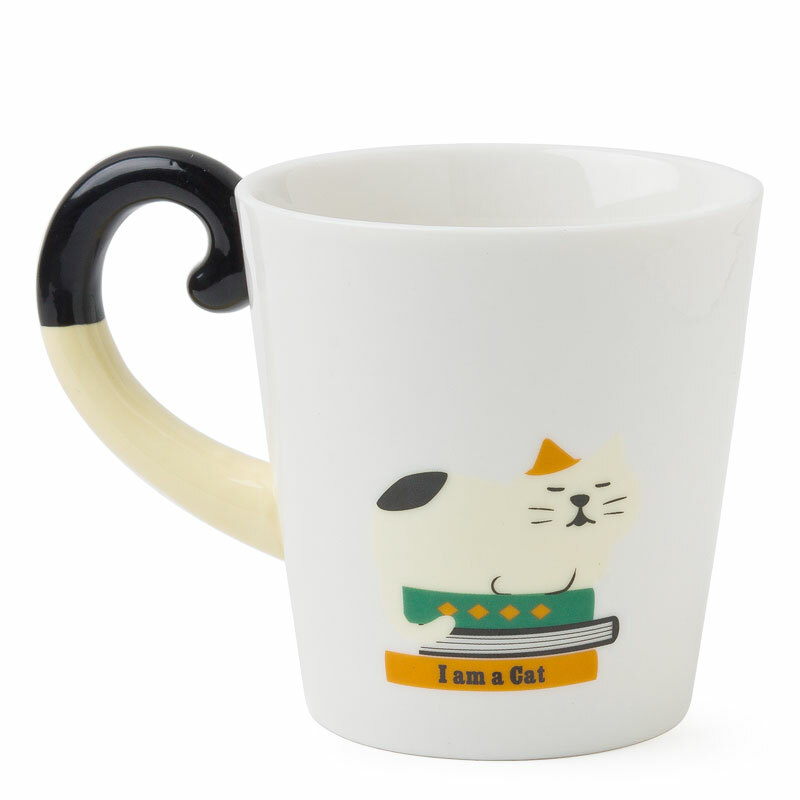 So cute you'll want to add this to your cat mug collection. 5" x 3.5" x 3.75"h; 10 oz. capacity. Designed in Japan by Decole Japan.